In small bowl, mix cream cheese and Sriracha sauce. Separate dough into 5 biscuits. Cut each biscuit into fourths. Flatten each dough piece enough to hold filling. Spoon about 3/4 teaspoon cream cheese mixture onto center of each; top with 1 olive. Wrap dough around olive; pinch seams tightly to seal. Place on cookie sheet. 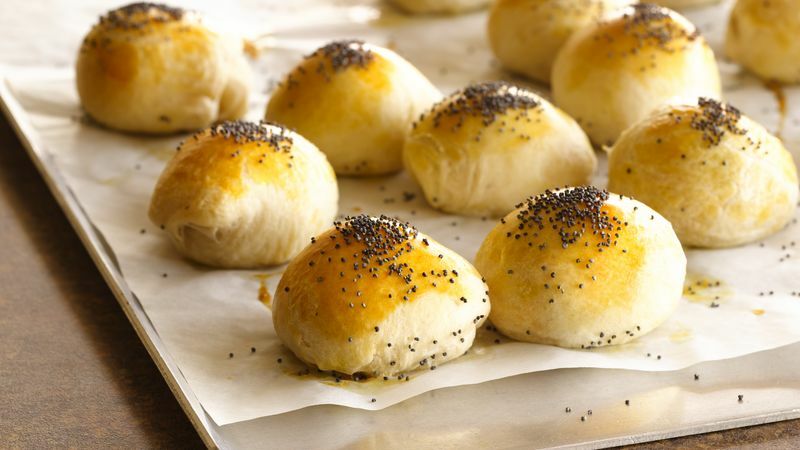 Brush each with egg; sprinkle with poppy seed. Bake 10 to 15 minutes or until golden brown. Let stand 5 minutes before serving. Be sure olives are drained well to make dough easier to seal.